HB 273 ““Revise exemptions under nutritionists’ licensing regulations,” has been tabled by the House Business and Labor Committee and is unlikely to come back up for a vote this session. Though the bill could be blasted from committee and reconsidered for vote, we anticipate it to remain tabled, and therefore ignored through the remainder of the legislative session. It is thanks to the collective efforts of all of you that our current licensure will remain in tact. 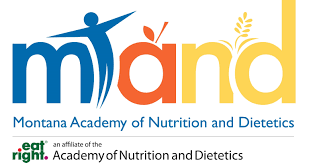 All of your calls, emails, and testimony were integral in demonstrating to the committee how important it is to protect nutritionist licensure in our state and the important role that licensed nutritionists play in protecting the health of Montanans. While we should celebrate our success, it is also vital that we continue to remind our legislators of the importance of licensed nutritionists. Now is our opportunity to develop relationships with and educate policy makers so they are well informed about our important work. Mark your calendars for Thursday, March 28 and plan to join us for Rotunda Day at the state capitol in Helena, MT. Stay tuned for more opportunities to engage in public policy with MTAND. Subscribe to our text message service by texting “MTAND” to 33322 for updates and action items.